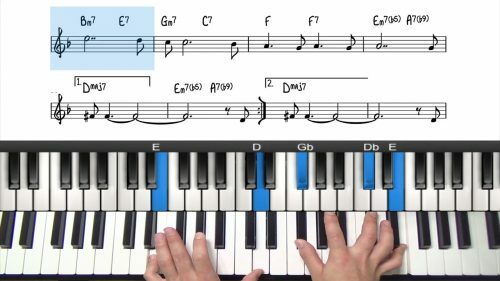 This lesson introduces a 2-step process for identifying potential chord scales and then we apply the approach to the jazz standard Blue in Green. Before attempting to improvise over a jazz standard, it’s a very good idea to identify which chord scales will work over the chords in the progression. By doing this you will be able to figure out what scale and notes are available to you for improvisation. 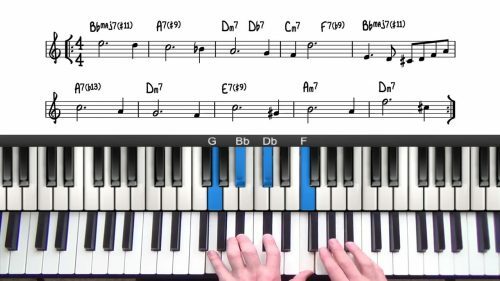 In this lesson we walk through the process of analysing the chord symbol, the melody note, and look other visual clues to identify the most relevant chord scale. Download a copy of the Blue in Green Chord Scale Analysis worksheet. This worksheet has the melody and chords of blue and green on top and the chord scales for the same chords underneath. Practicing chord scale analysis in the context of jazz standards is the best way to learn and master modal theory. 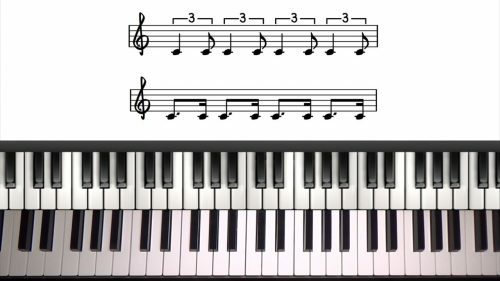 Pay attention to how I analyse each chord type and the visual clues I am looking for. Experiment! Try out different modes and see what works and what doesn't work. This is a process of discovery.